That was me when I first started blogging but now there are so many other reasons that I participate. Yes I still like that fact that I may reach a new audience but more than that I find this to be a difficult and yet rewarding exercise. It’s tough to cull through your work and pick what you think may be the best of the year. It really gives me a chance to go though my images (some that I haven’t looked at for almost a year) and decide whether they’re good enough to make the cut of the top 10 or 15. I try to review my images from a technical perspective and from a creative one. Certainly I’m drawn to certain images due to the circumstances of where and when they were taken. The picks may not always be perfect and certainly wouldn’t win any awards but art is subjective and what one person views as a masterpiece another make look at and dismiss entirely. It’s been a busy and rewarding year both on the photographic front and from a family and work stand point. I’ve taken on a new role at work which was unexpected at the beginning of 2015 but I am loving it. The only downside has been that its been so busy that my photography had to take a bit of a back seat. From a photography perspective I’ve continued to sell prints and license new work which is always very exciting and rewarding. I won’t make any specific commitments for the new year because I know that my day job will still be taking up a lot of my time but learning new photographic techniques and honing my craft is something that I know will always be important and I will find and make the time to do it. If you have a chance jump on over to Jim Goldstein’s site here in or about the second week of January and he should have a list of year in review post listed for your viewing pleasure. There’s always a great list of photographers on there, you won’t regret it. As always you can click on the images to enlarge them or to Purchase a Print. 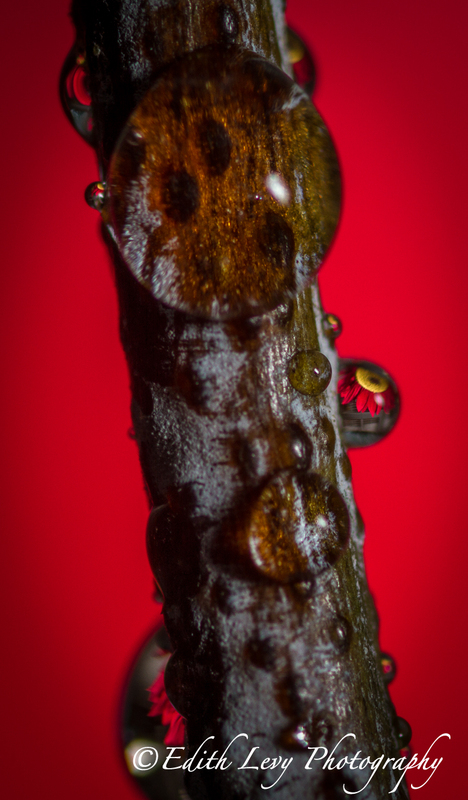 I spent sometime over the weekend practicing the new macro skills I attained at last week’s workshop. I set everything up on my kitchen table but I wanted to try something different. Instead of using a flower as a backdrop I printed a map of downtown Toronto that I found on the internet to see how that would work as a refracted image. Here it is and don’t forget click on the image to see a higher resolution version that’s much sharper. Stay tuned, later this week I’ll go through everything I use to create these types of images. I attended a workshop this weekend with renowned photographer Don Komarechka on macro photography. Don presented at my photography club a couple of months ago and I was completely awestruck by his work. After the club meeting I emailed Don and told him that a friend and I were interested in attending one of his semi-private workshops. While one of Don’s specialties is macro snowflake photography (you really need to check out his site) I wanted to learn how to photograph water droplets with a refracted image in them. Here’s one of my images. Welcome back! I hope everyone enjoyed the weekend. I know that it was a long weekend in the US and here in Ontario we enjoyed a long weekend with Family Day. It was nice to have the extra day off and enjoy some downtime with my family. Last week I got inspired to try something new. I was on Rachel Cohen’s Photography site (if you haven’t visited you really must. Just click on the link) and she created an abstract from oil and water. 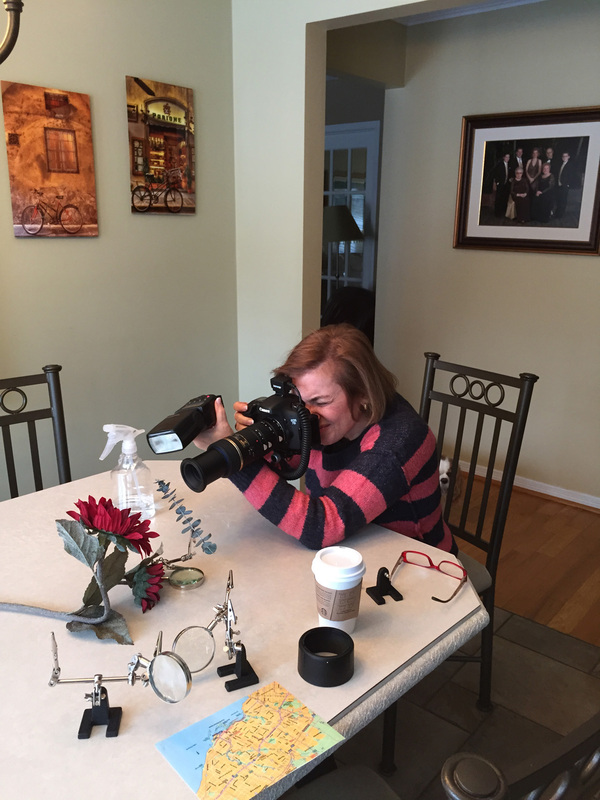 Rachel was actually inspired to try this when she visited Beverly Everson’s Photography site (yes definitely check out her site as well). I actually commented on Beverly’s post and asked her how she achieved this look. A few minutes later I received an email from Beverly giving me instructions. I think I need a bit more practice but here’s my first attempt of some macro photography of oil and water. Now I’m usually pretty good at following instructions but once I got myself all set up and I filled a shallow dish with oil and added a bit of water here’s what I came up with…. I actually liked how this came out but I thought “wow…why am I getting so many bubbles?” Well I went back to Beverly’s instructions and I realized that I was supposed to fill a shallow dish with water first and then add a bit of oil….Duhh. For the image above I had my dish suspended over a bowl of blue and green marbles. Now for the correct mix of water and oil I placed two tulip stems under my dish and here’s what I came out with. Remember you can click on any image to enlarge (they really do look better) or to Purchase a Print. It’s fun to experiment with something new. A bit of a departure from what I’ve been posting lately but I thought I would mix things up a little. I was walking my dog on Saturday when I noticed some beautiful icicles forming on the tree outside my house. After we got in (and Brady got his treat) I grabbed my camera, put on my Tamron 90mm Macro lens and headed outdoors. I processed the first image in Photoshop then ran it through Topaz Simplify to give it a bit more of a stylized look. You can download any of the Topaz plugins for a free trial and don’t forget to use the discount code ELPHOTO for a 15% savings. Click on the images to enlarge (the detail is much better) or to Purchase a Print.